Millers Dale is a little hamlet on the edge of a beautiful picturesque part of Great Britain called the Peak District National Park in Derbyshire. 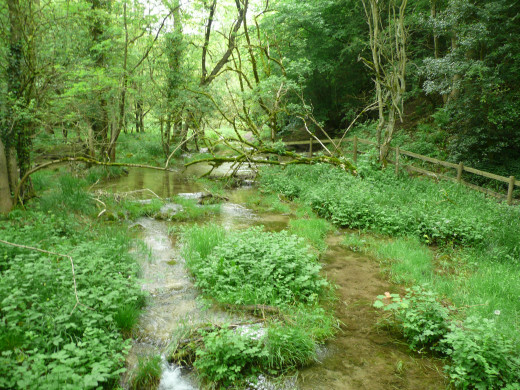 Millers Dale is situated along the River Wye between Braxton and Tideswell, a bit off the beaten path. A hamlet is of course a small settlement, or village, and a dale (over hill and dale) is a valley in case any of my readers are not familiar with these terms. Derbyshire is a county just like the counties we have in the U.S. Brits never put an apostrophe before the s in Millers Dale. These are just a few things that may help you better understand things that are different, as well as things that are similar in the UK, to how they are here in the states. 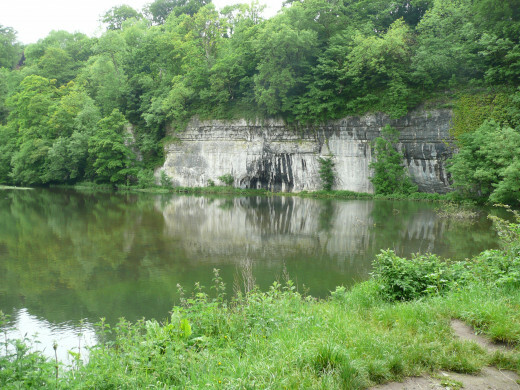 The photographs here were taken along Monsal Trail, which follows the River Wye and what used to be a section of an old train track that connected Manchester to London. 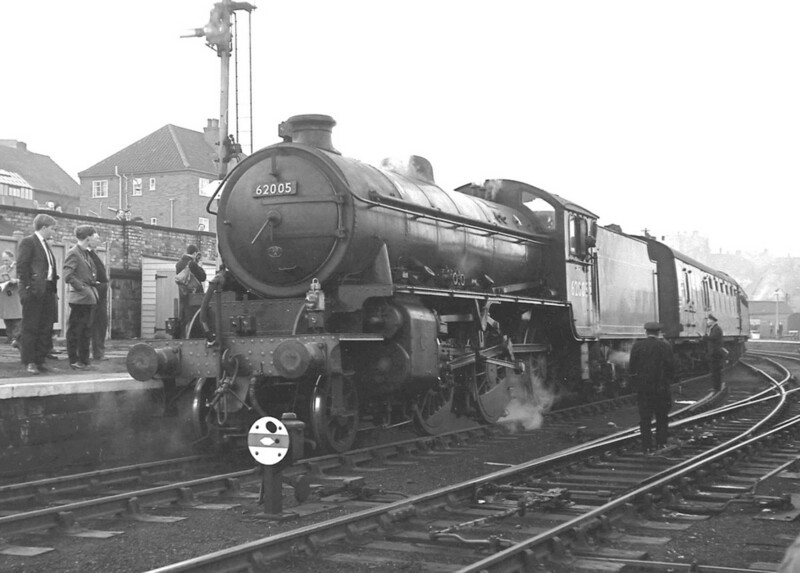 The railway was closed down in 1968. It is generally believed that the “Beaching Axe” closed the railroad down, but in fact it was closed by Barbara Castle, the Labor Minister for Transport at that time. 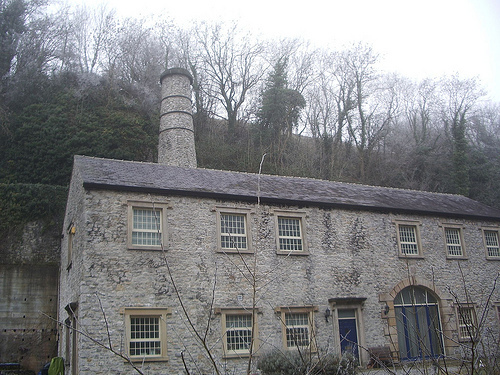 The old Millers Dale train station still stands along the Monsal Trail. See a photo of it in this hub. The “Beeching Axe” refers to Dr. Richard Beeching (Baron), a physicist and engineer who while serving as chairman of British Railways, was instrumental in closing many miles of railroad tracks in Britain in an effort to cut costs. 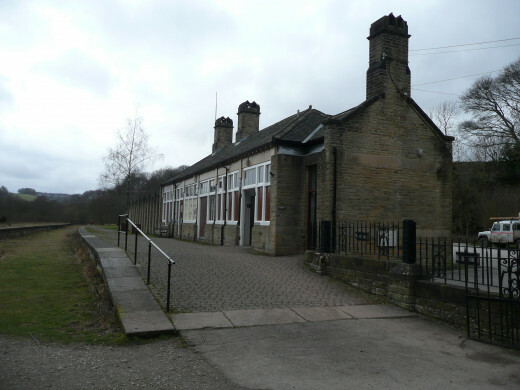 Because he closed many tracks and stations he became known as the Beeching Axe, presumably for “axing,” or closing so many stations and tracks. 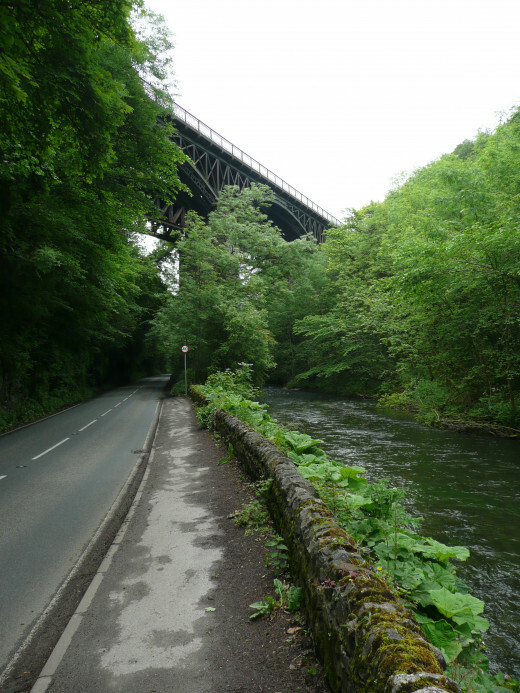 Some people believe it was a good thing when the tracks and train station along the River Wye stopped rolling because the area was being desecrated by all of the industrial growth, killing the natural beauty. 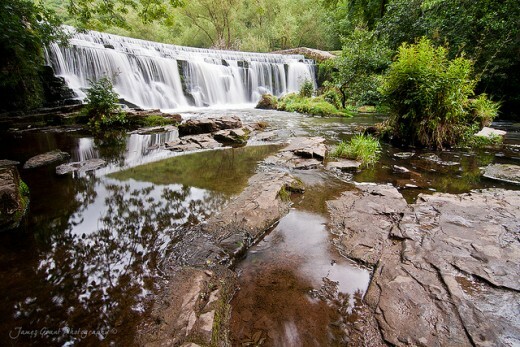 Walkers, runners, and bikers are surrounded by breathtaking surroundings along Monsal Trail, as you can see from the magnificent photos. The trail is reported to be wheel chair friendly along most of the way. 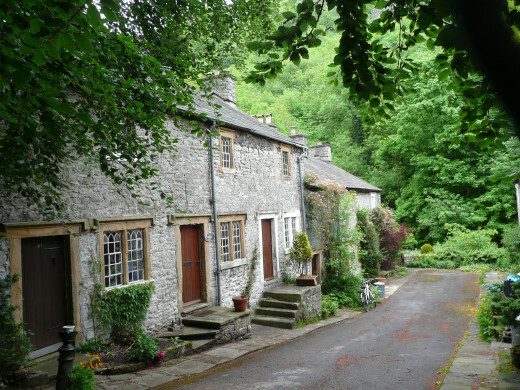 Millers Dale got its name from the many watermills that once populated the area. 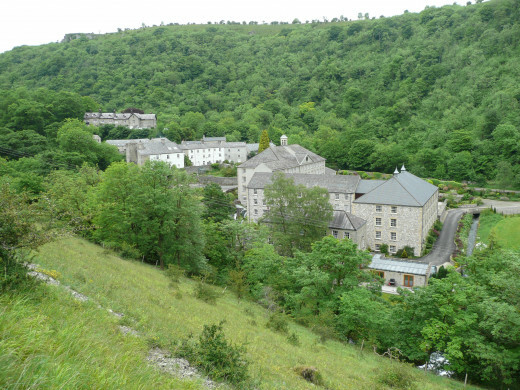 Some historians believe there was probably a mill at Millers Dale even as long ago as during the time of the Norman Conquest (1066), although Millers Dale is not recorded in what is referred to as the Domesday Book. 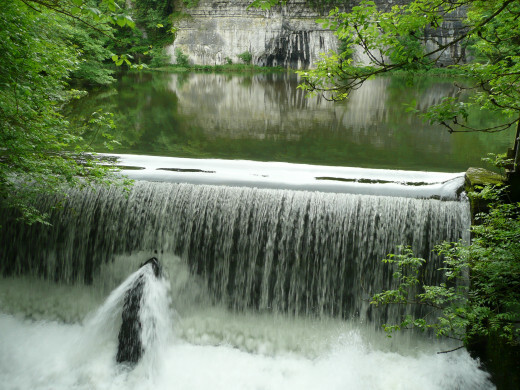 There is much more information about the many diverse watermills that used to be located in this area by clicking here. 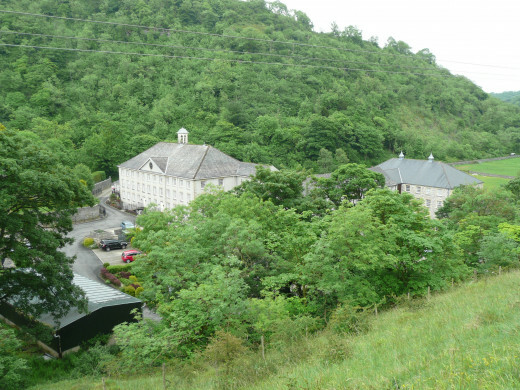 According to info@peakdistrictonline.co.uk, Millers Dale and Monsal Dale used to have two large cotton mills, Cressbrook and Litton Mill, the latter famous not for its operations, but for its owner Ellis Needham, who was noted for the horrific conditions his workers -- “pauper children” endured. It is reported that many of the graves of the orphans employed at the Needham mill still remain in local churchyards near where the old Litton Mill used to operate. 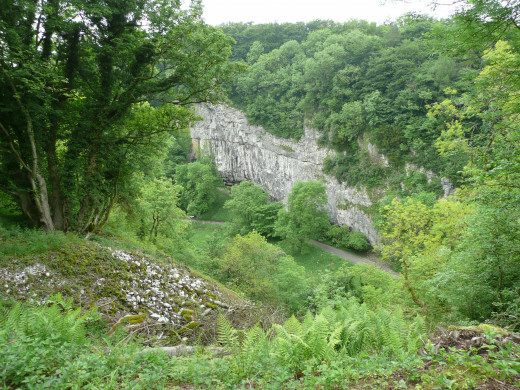 There are rich limestone deposits all around the Peak’s District and quarry operators naturally increased their productivity when the railway was installed. 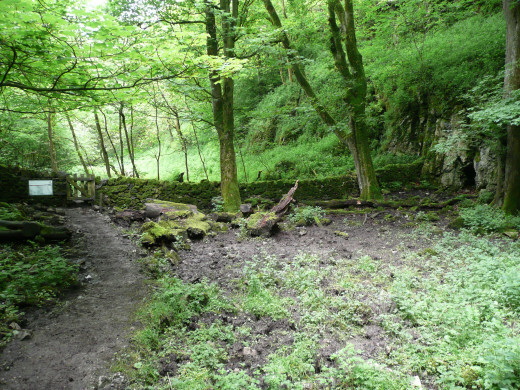 Dozens of limekilns were built along the track but only 4 remain, reportedly blended into the landscape with time, since they have not operated for many years. For several years the train track bed could not be followed because the tunnels that the railway tracks had passed through were not safe and so those tunnels were closed. 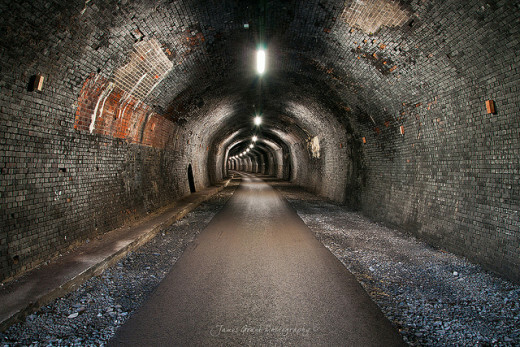 Info@peakdistrictonline.co.uk reports that those tunnels like the one pictured in this article were reopened in 2011 after being made safe again at a cost of £3.85m pounds. When I received these extraordinary photos from a good friend in Britain, I knew I had to get his permission to share them. I received that permission and I hope you will enjoy his photos as much as I do. 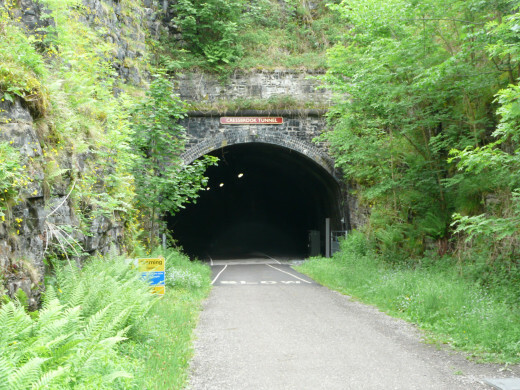 Click here for a short video about the tunnels reopening. Robert Sacchi, thank you for commenting. Glad you enjoyed this article! Thank you for posting. This seems a wonderful place to visit. The pictures are great. Bobby, thank you for sharing your thoughts and experience with me and my readers. It was 1983 (June 15) when I arrived in Texas to make it home instead of just a tourist. We do have some amazing things here, but many other parts of the world have some pretty incredible things too, including this park in England. The photos are gorgeous and the idea of no temps in the 90s and no nasty critters (fire ants, water moccasins, killer bees, etc.) is very desirable. A shame if you can't come over here when you wish and visit -- or live, if you prefer. Can't imagine why you couldn't. What could you possibly bring with you that we don't have already and ten times worse? Get one of those black market I.D.s and a new visa . . .
Bobby (Diogenes), the Great Lakes are cold even in summer. They even look cold and have a sparkle to the water and the waves in the sun. In winter the wind that comes off them is cutting. The photos of Peak's Park and the ones I've seen of Ireland are gorgeous. I've never seen urp that color. Thought it was more yellow. Have occasionally heard about 'bilious' urp, but never actually seen it. Bobby, I wish I could see this beautiful park in person. It really does look like it would be so enjoyable with none of the worries about 'mean bugs' and snakes and spiders and scorpions that we have here in Texas, not to mention the awful hot temperatures. Which Texas visitors have you been capturing that were so easy? Probably the native Texans. I may live here, but I'm still a proud Yankee, and pretty wily when I think someone is stalking me . . .
No, no mean bugs, but maybe a horny old Brit hiding behind a bush and waiting for an easily captured Texas visitor! Colorfulone, thank you for checking out these gorgeous photos sent to me by a friend. I think it would be so fantastic to visit this park too! England doesn't have very many mean spiders and bugs like we have here, which would make it all the more enjoyable. Glad you enjoyed the photos! The Peak District National Park country-side is just beautiful. I would love to hike or stole along some of those trails and enjoy the wonders of nature and critters that are around. Lovely photo tour. Peggy W., thank you for sharing this article again. It is indeed gorgeous and I wish I could see it in person, not just the gorgeous photos Keith sent me. Wishing to see some natural beauty again in a part of the world that I have never personally visited made me wish to view these beautiful photos in your hub once again. Sharing once again so that more people can enjoy it as well. The Peak District National Park is a beauty! Ruth Stanley, thank you for visiting my article. So glad you enjoyed. If only I could find a way over there I would be honored to stay in your barn! You have a really great website and some beautiful photos on it. Shyron, thank you for coming back to have another look at these gorgeous photos. You didn't mention how that situation with the developer was going. Hope things are going your way. Best wishes for a great 2015 and all the best it can bring. More hugs and blessings . . .
Prasetio30, thank you for taking time to view these gorgeous photos and for sharing your thoughts. I'm glad you enjoyed. I hope you will have the opportunity to visit England and this beautiful park one day soon. Word55, thank you for taking time to view these gorgeous photos and to leave a comment. Hope you have the opportunity to see these beautiful scenes for real one day. Merry Christmas! Peggy W, thank you for commenting and for sharing this article! Beautiful, I have to come back to look at this beautiful place every once in a while, we have such greedy developers who would destroy all the beauty just to feed their greed. Absolutely beautiful. I just saw like this one from my television. Wow...I hope I can see this place in person someday. Thanks for writing and sharing with us. Voted up! Beautiful sceneries Au fait. I'd love to go there and take it all in! People who are new to this site may not have seen the beauty of these photos so will once again happily share. There may be some who wish to add this gorgeous national park to their bucket list if ever crossing over to that part of the world. Torrilynn, thank you for coming by and enjoying the photos. They are breathtaking! Peggy W, thank you for your high praise. What can be better than having someone appreciate and enjoy one's work? The photos provided by my friend in England are unbelievable. Thank you for pinning (and creating a new board), sharing, and Google+ing this article! I am going to create a new board titled United Kingdom and pin this there. Also Google+ and sharing it one again. I truly loved reading this hub! Thank you for your comment Aunt Jimi. It would indeed. I love these photos. 5 years ago from The reddest of the Red states! Such beautiful pictures! Wouldn't it be perfect if we could go for a stroll in such a beautiful place without dying from the heat or being carried away by giant insects -- or an alligator. Voted up, beautiful, awesome, and sharing with my followers. Thank you Bobby (Diogenes) for stopping by and checking out these gorgeous photos. You're so lucky that you can see these things for real if you're so inclined. Yes, I've heard about Mr. Beeching before and the sentiment seems to be conclusive that he should be dug up and stoned. Hope you're in less pain and able to enjoy the weekend . . .
Re an old comment, train tracks do much less damage to the countryside than do freeways, or motorways as we call them. Our wonderful rail system was just to good to be true and Beeching should be dug up once a year and made to sit on the M25 when the traffic is backed up for 20 miles without his tea! Shyron, thank you for the votes and the share. I hope Jane will enjoy these photos as much as I do. Au fait, I had to send the link to this to my friend Jane, who is from the UK, hope it does not make her homesick. Thank you Shyron, for the votes, share and pin! So glad you enjoy these photos as much as I do. Hope you and your family had a great Thanksgiving! Did you get my card? I love the pictures Au fait, they are so majestic, beautiful and breathtaking. Voted up, ABI and shared and pinned to Amazing HubPages. Thank you Moonlake for stopping by and enjoying these beautiful photos. I love them and I think my friend Keith who sent them to me is so lucky to be able to visit this park often. Appreciate your sharing and tweeting this hub, too! Thought I would stop by share and tweet this hub. It's a beautiful hub. Thank you Rose-the-Planner for checking out this article, voting on it and commenting. These are amazing photos and my friend is clearly a first rate photographer. Glad you enjoyed! Thank you Peggy W for tweeting and sharing this article! It is gorgeous. Going to share this fabulous hub again with my followers and also tweet it. Am sure that many people would love visiting this national park in person someday if they are ever in that part of the world. I know that I certainly would enjoy it! Thank you Deborah-Diane for voting on and pinning this article. Glad you enjoyed the photos! I've been to London, but never to this park. I would love to go see it. Your photos are amazing! I'm sharing this to my Board - Favorite Places and Spaces. Voted Up as beautiful! Thank you Shyron, for sharing this hub. The photos are incredible and on these awful hot Texas days I wish I could enjoy their cool temps over there along with this gorgeous scenery. Thank you moonlake for pinning this hub! Au fait, this is such a beautiful display of the English countryside, voted Awesome, beautiful and interesting and I will share with my followers and any way that I can. Sorry I have not been on here all day, I had to go for an EKG for my up coming surgery Friday, yes this Coming Friday. I don't have any idea what impact this will have on my writing and any. I'm going to try and pin this to my travel board. My pin wasn't working yesterday. It's a place I would like to visit someday. Photos are really beautiful and the place looks like it is from a fairy tale. Really enjoyed the hub and the photos. Thank you Deborah-Diane for having a look at these beautiful photos. My friend in England really does take the best photos. Glad you enjoyed, and thanks for the pin! Wonderful article and I love your photos. I am pinning this to my board: Favorite Places and Spaces. I'm sure my followers will enjoy it, too! Thank you for stopping by Shyron. Wouldn't it be a great place to visit? I never get enough looking at such beautiful pictures, even if they are so far away and I will never see them in person. I can still admire them here and appreciate the beauty of nature. Voted Up BAI and shared. Thank you Peggy W for pinning this hub. 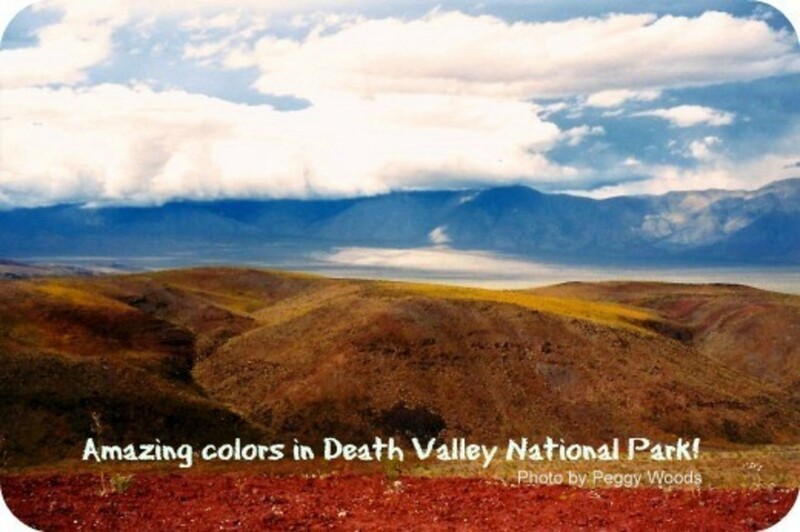 I really thought the gorgeous photos here would draw people along with information on what there is to do in this park, but alas, no one seems interested . . This fabulous hub should never be idled! Going to pin this and hopefully you'll get more traffic. 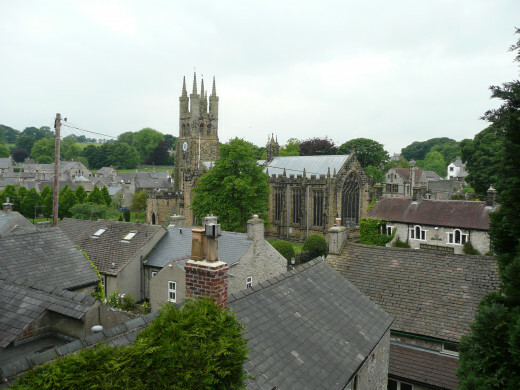 Would love to see more of England via your friend's photos + your research. 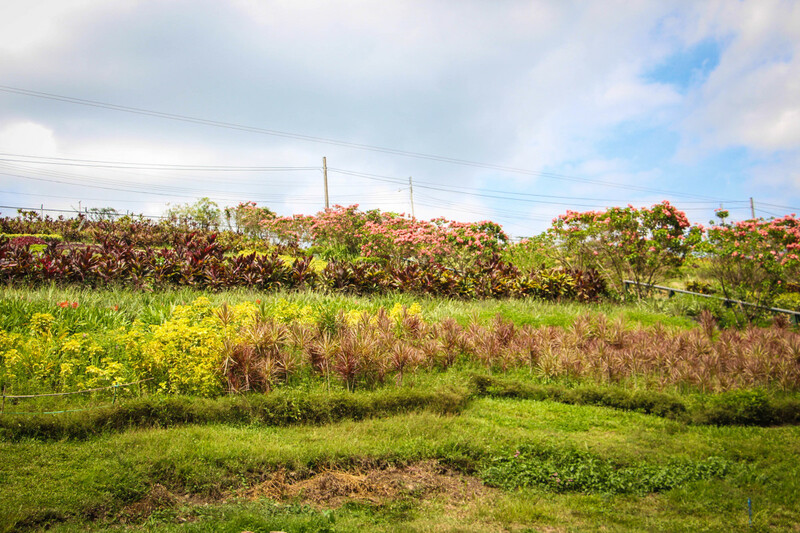 Thank ou Glenda Jacks for taking time to view these gorgeous photos! Glad you enjoyed! these are picture postcard pictures, just beautiful. Thank you Shyron! The photos posted in this hub are gorgeous and knowing the weather is usually tolerable (rarely 90+ degrees) only makes it look more inviting to my way of thinking! Thank you Millionaire Tips, for reading and commenting on this hub! Hope you get to visit this park one day. The photos really are incredible! Wow, these certainly are stunning photographs. You have clearly highlighted the beauty of the area. I would love to see it in person. These pictures are so beautiful, they are almost like painting. Voting you up and awesome! DDE, thank you for reading and commenting on this hub! The photos are extraordinary and I'm so happy my friend shared them with me and gave his permission to use them in this hub. He is truly talented with his camera. So glad you enjoyed! Truly extravagant place and the photos are so beautiful. Thanks for sharing such beauty. Thank you for stopping by and leaving a comment. Yes, these photos are fantastic and wouldn't it be nice to have a place like this to enjoy the outdoors and not have to be afraid of getting mugged or attacked? Hardly any of the criminal issues in England that we have here. DeborahNeyens, thank you for checking this hub out! The photos are gorgeous aren't they? So glad you enjoyed them. I hope you do get to visit this park. Thanks for sharing your gorgeous photos. You're right; I do want to visit there now! connorj, thank you for dropping in. Glad you enjoyed! Yes the pictures are to die for, makes a person long to live in a place like that. Thank you for having a look at this hub Shyron. These photos are to die for! Awesome hub and beautiful pictures. I can't believe I missed this one! Thank you for stopping by & leaving a comment TravelinJack! And thanks for the follow!! 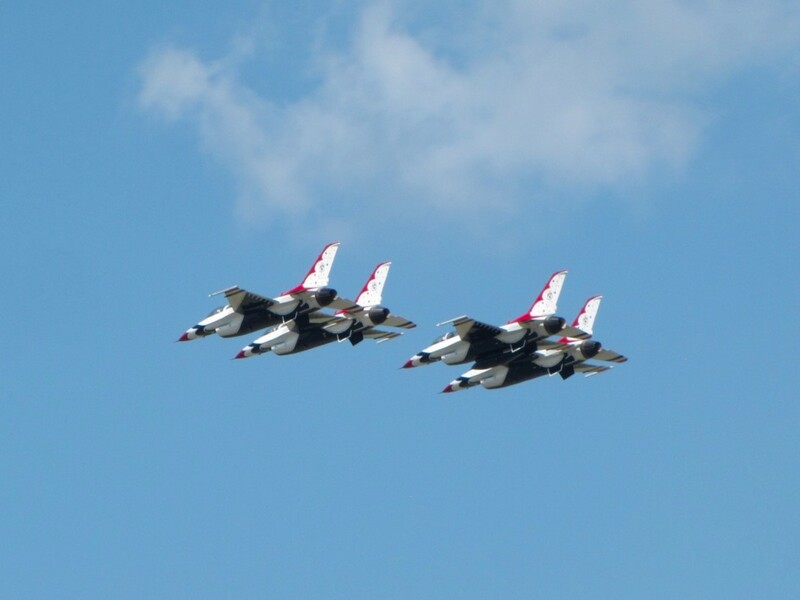 rajan jolly, thank you for reading, commenting, voting, pinning, and sharing this hub! Glad you enjoyed! Peak District was one of my favorite places in England! Very informative and entertaining read Au fait. The photos are stunningly beautiful with nature at her best. Voting this up/useful/beautiful and sharing and pinning. I am very inspired to visit! Now I have a reason to save my pennies from HP! :) Beautiful work, Au fait!!! Thank you Peggy W, for reading & commenting on this hub! Yes, my English friend furnishes me with lots of photos and has given his permission to use them if I wish. Alas this hub is continually idled because it gets hardly any traffic. Gorgeous as these photos are, apparently very few people want to look at them, which means I won't be writing about similar things any time soon. If your friend is always sending gorgeous photos from England, perhaps he will allow you to write more hubs? Friends of ours let me use their photos after visiting Mackinac Island and I ended up writing several hubs. My grandparents had been there and I have always wanted to visit it. After researching and writing the hubs...it is the next best thing to being there in person. Am sure you felt the same after writing about the Peaks District National Park in Derbyshire. Thank you sgbrown for checking out this hub and leaving a comment! Glad you enjoyed. These photos are incredible. My friend told me he took them during one of his runs through the park. He is always sending me amazing photos, but when I saw these I just had to get his permission to share. Thank you Peggy W, for checking out this hub, and I'm glad you enjoyed these magnificent photos! I think Keith (photographer) missed his calling. He is always sending me gorgeous photos from England. Thanks for the votes and the share, too! Happy New Year!! Oh my gosh...this is such magnificent scenery! Thanks to your friend and his photos along with your research, I now am acquainted with the Peaks District National Park. Each and every one of the videos were worth the time to watch. All up votes except funny and will share and tweet this hub happily. Thank you billybuc, for taking the time to view these gorgeous photos sent to me by a dear friend in Britain, and for your comments. Glad you enjoyed! So beautiful! What incredible countryside and architecture. Thank you for a wonderful tour. joanveronia, thank you for reading and commenting on my hub, and for the follow! So glad you enjoyed this hub. I love these photos. They're so pretty and the photographer only took one shot each and they turned out so superb! Hi what a wonderful article! Yes, I also like Brits! I live in Chile, but British is my home nationality. Never visited a lot in Britain, just around Liverpool, but this is so beautiful! Voted UABI and will share and pn, etc. Thank you John Merrill, for taking time to check out my hub. Glad you enjoyed! Your friend takes beautiful pictures. Makes me wish I could be there in the park right now. Well done. Thank you Tillsontitan, for reading, viewing these magnificent photos, and for commenting and heaping such grand compliments on me, and most especially my photographer friend. I think he doesn't recognize how talented he is in this area. Not so different from yourself! Speaking of photos these are gorgeous. The countryside is breathtaking and your friend did a great job of capturing the beauty. Your background of the area is very interesting. We have old kilns near our house as well and they have left behind some nice elements to the scenery. Thank you Tammy, for commenting, and for such high praise AND for sharing & pinning. They are some of the best photos I've ever seen. Jen: Thank you for taking time to read and comment on my hub. 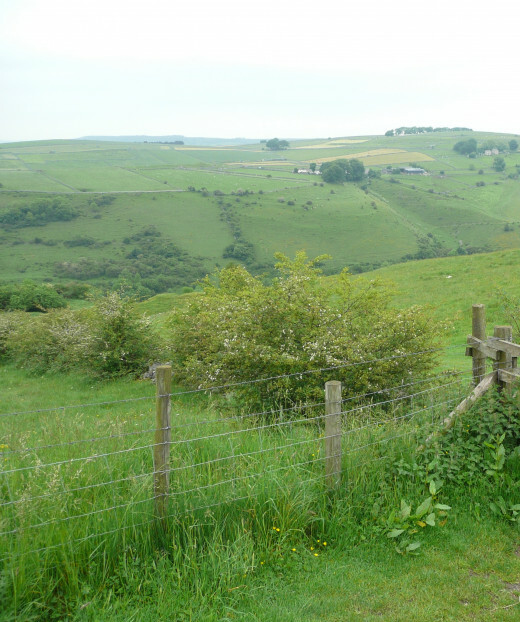 The photos of the Peaks District Park area are beautiful, and I'm so glad Keith agreed to let me use them so that lots of people who might not be able to visit England could see it in a way they might not have imagined it to be. That is one of the most beautiful photo journals I have seen on Hubpages. This looks like the setting of a movie. Looks like a wonderful place. Sharing and pinning! 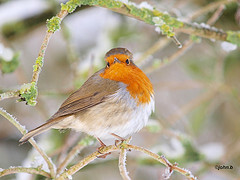 Brenda12lynette: Thank you for your comments. Glad you enjoyed the photos. They are beautiful. I hope you get the chance to go to Peaks District Park too. Great scenery on the trails there! What gorgeous pictures! I'd get on a plane and go there right now if I could! So glad I clicked on this. Bobby: Good that you can get out and see some beautiful countryside -- hope the Fitchway is not all built up and citified. The photos here are magnificent! I learned a lot about England in my research. If there were any mistakes, hope you will let me know. Yes, I do love Brits! Y'all have such a cool sense of humor, so different from most people here in the states. Thank you for commenting! Great pictures! I hope to make it to Great Britain one day so I can see this amazing scenery in person. Voted up! You seem to like Brits!